During today's confirmation hearing in the Senate Armed Services Committee, Senator Graham (R-SC) grilled former Senator Chuck Hagel about a variety of matters, including Hagel's failure to sign a letter circulated in 2000 regarding Israel. The text of that letter is available online here. What is not available online, it seems, is the AIPAC press release lauding the letter, dated October 13, 2000. So in answer to Sen. Graham's determined desire to know why Hagel refused to sign the letter - according to AIPAC (at the time), he didn't. UPDATE: A version of this same press release, circulated a couple of days earlier, is still available online in the archives of IMRA (which also circulated the later release). That earlier version, which includes a similar intro in brackets, can be viewed here. Continue reading From the Archives: AIPAC says Hagel DIDN'T refuse to sign 2000 letter. Washington, D.C. - Americans for Peace Now (APN) today warmly welcomed the Senate's confirmation of Senator John Kerry as the next Secretary of State. APN praised Kerry's strong track record as a foreign policy leader and reiterated its call for President Obama to re-engage urgently and resolutely to save the two-state solution to the Israeli-Palestinian conflict. Continue reading APN Welcomes Kerry Confirmation; Reiterates Call for Urgent Mideast Engagement. Continue reading Event 2/11: Reorienting Strategy for Israeli-Palestinian Peace (Klein). Continue reading Event 2/6: Jerusalem - Pulling the City Back From the Brink (Seidemann/Avni). This is the fourth in a series of reviews of new books on Middle Eastern affairs. 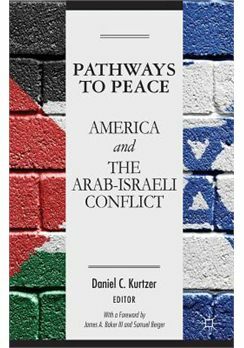 We asked Dr. Gail Weigl, an APN volunteer and a professor of art history, to review Dan Kurtzer's new book about America's role in advancing Israeli-Palestinian peace. Continue reading Book Review: Pathways to Peace. Alpher discusses the issues confronting the political principals of the recent Israeli elections as they move into coalition negotiations, who are the candidates for minister of defense, whether Israel can draw any lessons from the massive terrorist attack on a remote desert gas field in Algeria and the ensuing drama. Continue reading Hard Questions, Tough Answers with Yossi Alpher: January 28, 2013. Continue reading APN Legislative Round-Up: Week Ending 1/25/13. There's lots of talk today about what happened in Israel's elections, why it happened, and what it means. A lot of this remains in the realm of speculation - as in, it is not clear yet what the next Israeli government will look like. Likewise, the big winner in this election - Yair Lapid and his new party - remains something of a cipher, with Lapid's views on the full range of issues, including Israel-Palestinian peace-related issues, unclear and possibly as-yet unformed. Nonetheless, there are clear reasons to view yesterday's election results as good news, from the perspective of those of us who care about Israel's character as a progressive democracy and who believe in the vital importance of ending the occupation and achieving peace through a two-state solution. Continue reading Top 5 Reasons Why Yesterday's Election Results Are Good News. Alpher offers a preliminary assessment of the Israeli election and discusses the broad ramifications of the narrow victory for Binyamin Netanyahu and surprise showing for Yair Lapid's Yesh Atid party, the coalition possibilities, and what characterized this election in contrast with previous ones. Continue reading Hard Questions, Tough Answers with Yossi Alpher: Israel votes: preliminary assessment -- January 23, 2013. We congratulate the people of Israel for holding free and fair elections yesterday for the 19th Knesset. With these elections, and their myriad surprises, Israelis have reminded the world of Israel's deep culture as a pluralistic democracy and have clearly rejected the status quo policies of the past four years of government led by Benjamin Netanyahu. Continue reading APN Welcomes Israelis' Vote for Change. The results of the exit polls, published by Israeli TV channels as polling stations closed, are nothing short of a sensation. Continue reading Israeli Election Surprise. So now we have the journalist Jeffrey Goldberg, presumably based on conversation(s) with officials of the Obama administration, perhaps with the president himself, quoting Obama: "Israel doesn't know what its own best interests are." And then, with "each new settlement announcement Netanyahu is moving his country down a path toward near-total isolation." Continue reading The Forward: APN Board Member Leonard Fein - The Truth Hurts, Bibi. Continue reading APN Congratulates Obama; Urges him to Save the Two-State Solution. Continue reading APN Legislative Round-Up: Week Ending 1/18/13. On December 31, 2012, Time Magazine published an article entitled, "The West Bank's 2012: The Year of the Israeli Settlement." Earlier this week, the Israeli Peace Now movement released a new report that makes a case for a different title: 2009-2013: the Years of the Israeli Settlements. The new report (which I co-authored) details the Netanyahu government's record on settlements over the course of its past 4 years in office. The results are incontrovertible: by every objective measure, the Netanyahu government has demonstrated that it is determined to use settlements to destroy the very possibility of the two-state solution. Continue reading Laying Bare The Facts About Netanyahu And The Settlements. On January 21, 2013, Barack Obama will be inaugurated for his second term as the 44th president of the United States of America. As this day nears, it seems inevitable that he should be thinking about the legacy that he wants to leave after eight years at the helm of this great country. In the Israeli-Palestinian arena, the arc of history has dealt him a clear, binary choice: he can go down in history as the U.S. president who fought for and saved the two-state solution to the Israeli-Palestinian conflict, or he can go down in history as the president on whose watch the two-state solution was lost, at the cost of the vital interests of both Israel and the United States. Continue reading HuffPo: APN's Lara Friedman- Obama's Second Term and His Middle East Legacy. The Israeli Peace Now movement (Shalom Achshav) today released an explosive report detailing the record of Prime Minister Netanyahu's government on settlements over the course of its full term in office (April 2009-present). The report, based on official Israel government statistics, reports, and Peace Now field research, documents how over the past four years, the Netanyahu government has used settlements as a tool to systematically undermine the chances of achieving a viable, realistic two-state solution to the Israeli-Palestinian conflict, despite Netanyahu's rhetorical embrace of such a goal. Continue reading New Peace Now Report: Netanyahu's Settlement Policy Wrecks Two-State Solution. Shortly after the United Nations General Assembly voted in late November to upgrade the status of the Palestinians, the government of Israeli Prime Minister Benjamin Netanyahu announced that it would advance plans to establish a settlement in an area of the West Bank known as E-1, and that it would build 3,000 additional housing units in east Jerusalem and the West Bank. Continue reading Jeffrey Goldberg- Obama: 'Israel Doesn't Know What Its Best Interests Are'. The ad says, "In 2009, the average turnout rate at West Bank settlements was 80%, it was only 57% in Tel-Aviv, Haifa and Beer Sheva. Don't let others decide for you. Go vote!" With less than two weeks to go before Israel's general elections, Israel's Peace Now movement launched a get-out-the-vote drive aimed at urging Israelis to come to the polls on Election Day. Continue reading Shalom Achshav Launches Get-out-the-vote Campaign. Alpher discusses Netanyahu's options on January 23 for forming a governing coalition, what coalition options might emerge from these, how former PM Olmert's accusations of Netanyahu wasting NIS 11 billion over the past four years on "military delusions" plays in the elections, and more on the the saga of Mahmoud Abbas asking to absorb Palestinian refugees fleeing Syria: everyone takes yet another opportunity to miss an opportunity. Continue reading Hard Questions, Tough Answers with Yossi Alpher: Netanyahu's three post-elections options -- January 14, 2013. "No longer will Finance Minister Yuval Steinitz be able to compare Israel favorably to Europe...No longer can Prime Minister Benjamin Netanyahu engage in wordplay about growth and employment." Continue reading News Nosh 1.14.13. "Living in a movie" (likhyot be-seret) is a Hebrew slang expression that means being detached from reality or living in a parallel universe. That expression came to mind when Israel yesterday celebrated - justifiably so - the nomination of two Israeli documentaries as finalists for the Academy Awards. Continue reading Living in a Movie. On Tuesday, APN's Rabbi Alana Suskin joined rabbis from J Street and Rabbis for Human Rights- North America to deliver a letter to Israeli PM Netanyahu. The letter was signed by more than seven hundred US rabbis, cantors, rabbinical students and cantorial students from more than 40 states and all movements of Judaism, and conservatively represents an audience of 100,000 American Jews. Continue reading Rabbis Deliver Letter Expressing Concern about E-1 to Embassy. In the Oscar-nominated The Gatekeepers, Israel's domestic spymasters make the price of occupation clear. As I watched The Gatekeepers in a small hall in Jerusalem, three thoughts kept repeating in my mind. The first was that if the new Israeli documentary were showing on prime-time television rather than in tiny cinematheque auditoriums, the country's vapid election campaign might morph turn into an urgently needed debate on the occupation. The second was that once the film opens in U.S. theaters on February 1, its interviewees--former heads of Israel's Shin Bet security service--will probably not be invited to speak before certain "pro-Israel" groups in America, the kind that conflate support of Israel with silencing criticism of Israel policies. The film's Oscar nomination for best documentary will not be celebrated in those organizations. Continue reading Gershom Gorenberg: An Inescapable Truth. Yedioth Ahronoth: "Diskin: Netanyahu is Afraid, Zigzags, Doesn't Take Responsibility"
Yuval Diskin, former chief of Israel's Shin Bet (Security Service), sat down for a very in-depth interview about his experiences with Israeli leaders and his perspective on the current political leadership. Responses from the Prime Minister's Office and Defense Ministry Bureau come at the end. Continue reading Yedioth Ahronoth: "Diskin: Netanyahu is Afraid, Zigzags, Doesn't Take Responsibility". "the process lead by Abu Mazen is over, replaced by the attitude promoted by Hamas. Abu Mazen [Abbas] is trying to survive the Arab Spring and he understands that the path of negotiations with Israel is over. The question is - what will follow? We may see regional anarchy along a military campaign of our own." Continue reading A Third Intifada?. Americans for Peace Now welcomes President Obama's nomination of Senator Chuck Hagel to be America's next Secretary of Defense and urges the Senate to confirm the nomination expeditiously. APN reaffirms its earlier statement, which strongly rejects attacks on Senator Hagel's record on Israel and Middle East-related issues. We know Senator Hagel well from his time in office. In the Senate he was a thoughtful legislator with a deep commitment to U.S. national security and a keen understanding of the full gamut of complex foreign policy issues, including the vital importance of achieving durable Israeli-Palestinian peace. He is fully committed to Israel's security and wellbeing. Attacks on Senator Hagel for his record on Israel and the Middle East are disconnected from Hagel's actual record and his qualifications for the office of Secretary of Defense. These attacks appear to reflect, more than anything, a desire to impose a narrow ideological litmus test on senior U.S. officials - a litmus test that is in no way linked to their abilities to carry out the responsibilities of the office for which they are being considered or even to their own commitment to the vital interests of the United States. Such a litmus test serves the interests of neither the United States nor Israel. Alpher offers predictions regarding Israel-related strategic developments in 2013, and discusses why Israel just agreed to allow Hamas to import large quantities of building materials, whether the renewed readiness of Hamas and Fateh to discuss reconciliation reflect deference to Egypt's Islamist leadership, what has happened in the two weeks since he mentioned Palestinian President Abbas' offer to absorb Palestinian refugees fleeing the violence in Syria and suggested Israel and Jordan assist in this effort. Continue reading Hard Questions, Tough Answers with Yossi Alpher :Strategic Developments -- January 7, 2013. The 113th Congress convened on January 3, 2013. The 2013 House Calendar is available here; the 2013 Senate Calendar is available here. Continue reading APN Legislative Round-Up: Dec. 21, 2012 - Jan. 4, 2013. On January 2, 2013 APN hosted leading Israeli political commentator, Akiva Eldar for a briefing call on Israel's political scene, three weeks before the general elections.